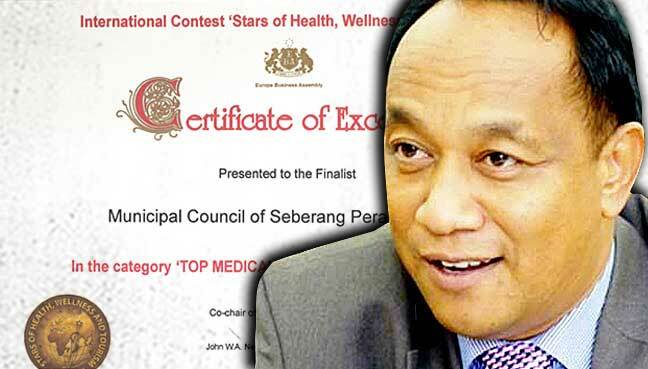 Checks on local news reports show EBA bestowed ‘awards’ not just to Penang councils but also other Malaysian institutions. GEORGE TOWN: Before the dust could settle on a shock expose that Penang municipal councils received “excellence” awards from a questionable outfit exposed by a UK newspaper, checks show that other Malaysian companies, universities and GLC execs were also recipients. 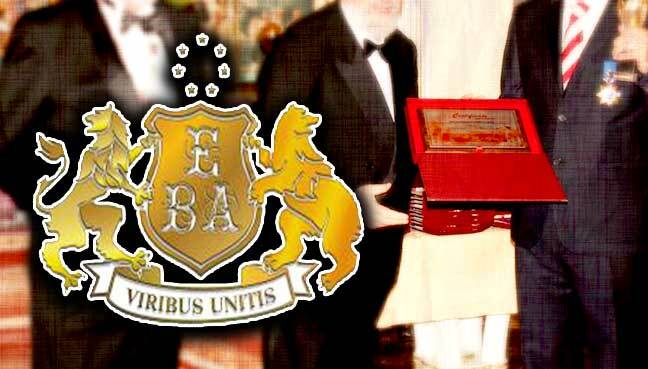 Checks by FMT show Malaysian companies, public universities and top executives of Malaysian government-linked companies had won awards from the dubious Europe Business Assembly (EBA) before. UK’s The Times had alleged that EBA, run by Ukrainian businessmen, made use of the renowned Oxford University’s name and reputation to hand out awards to those who paid a sum. According to EBA’s website, this year, seven Malaysian companies and their bosses were listed as award recipients. Among them is a public-listed utilities company and an education provider. Based on Malaysian news reports, past winners of EBA’s awards include three Malaysian public universities — namely Universiti Sains Islam Malaysia (USIM), Universiti Teknikal Malaysia (UTeM) and Universiti Malaysia Perlis (UniMAP). 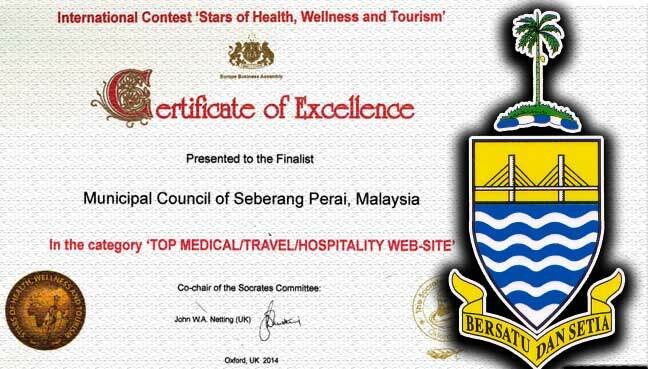 USIM, UTeM and UniMAP received the “Best Regional University” award from EBA in 2013, according to a report by Utusan Malaysia on Dec 25, 2013. Their vice-chancellors were reported in local Malaysian dailies to have won “Best Manager of The Year” in the same year as well. One of the vice-chancellors was reported to have won “Best Scientist” separately from EBA’s “Oxford Summit of Leaders Science & Education”. Another VC was reported to have won “The Name in Science” award, too. According to EBA’s website, the group is “an international corporation of social partnership” established in Oxford, UK, in 2000. 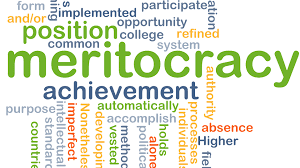 It lists developing and promoting social and economic links between companies, investors, education establishments, cities and countries worldwide as its main objectives. The Times had reported that EBA advertises itself as an Oxford institution to sell “made-up prizes” such as “The International Socrates Award” and “The Queen Victoria Commemorative Award” for a price of up to £9,300 (RM52,000). The report claimed the EBA outfit was run by Ukrainian businessmen, targeting areas where people had the financial power to buy such accolades. A former employee told The Times that the outfit was told to focus on customers from the Middle East, eastern Europe and Russia “where the idea that money buys you credentials is still there”. EBA was also revealed to have used images of Oxford colleges and even the same typefaces in its publicity materials. It also claimed “exclusive” access to special lectures from Oxford, the report said. However, the University of Oxford told the daily it has no relations with EBA. “On the face of it, the guests gathered that evening did not have much to unite them. Representatives from a Nigerian maritime security company rubbed shoulders with the vice-president of a Bulgarian mine. “The founder of an international school in Malaysia mixed with the director of an Indian private medical institute,” The Times report read, in explaining the holding of an elaborate awards presentation ceremony. Penang Island City Council and Seberang Perai Municipal Council accused of having paid for awards from a ‘bogus’ organisation, which was exposed by a UK daily. State opposition also wants the DAP-led government to reveal the costs of sending council officials to Italy and Switzerland to receive the awards.